Like these posts? Follow us on Twitter or Facebook — this is the edited version of what we’re reading! You can also follow us on Pinterest and Instagram, or via our RSS feed. Fashionista shared shopping advice from beauty writer Rio Viera-Newton. Fashionista also investigated several claims that clean beauty brands often make in their marketing materials. Jezebel made a compelling case to bring back chunky ’90s black Steve Madden loafers. Law.com shared stories of women who were planning to have children just as their legal careers were starting. The Ladders provided nine ways you should use emotional intelligence at work. Fast Company advised on how to give advice at work. Glassdoor gave scripts for salary negotiations. Business Insider offered 11 words that managers should use more often. The New York Times suggested how to do well at your job, even when your coworkers annoy you. The New York Times also shared safety tips for using ride-share apps. Your Laugh of the Week: Beauty YouTuber Jaime French takes us back to the makeup of the late 1990s. We continued our Week in the Life of a Working Mom series with a federal government attorney in Washington, D.C.
We asked readers how they handle their kids’ doctors’ appointments. We offered some clothes for working moms, including some maternity basics and washable workwear. Did we miss anything? Add ’em here, or send them to [email protected] Thank you! Also: Are you a mom or mom-to-be? 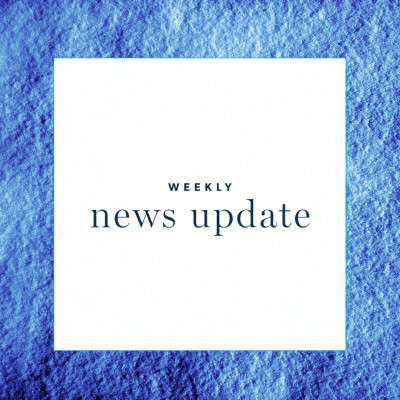 Don’t miss this week’s news update at CorporetteMoms.